This is the sixth generation of the Atomic Bent Chetler, and so far, I’ve found a lot to like about this ski. 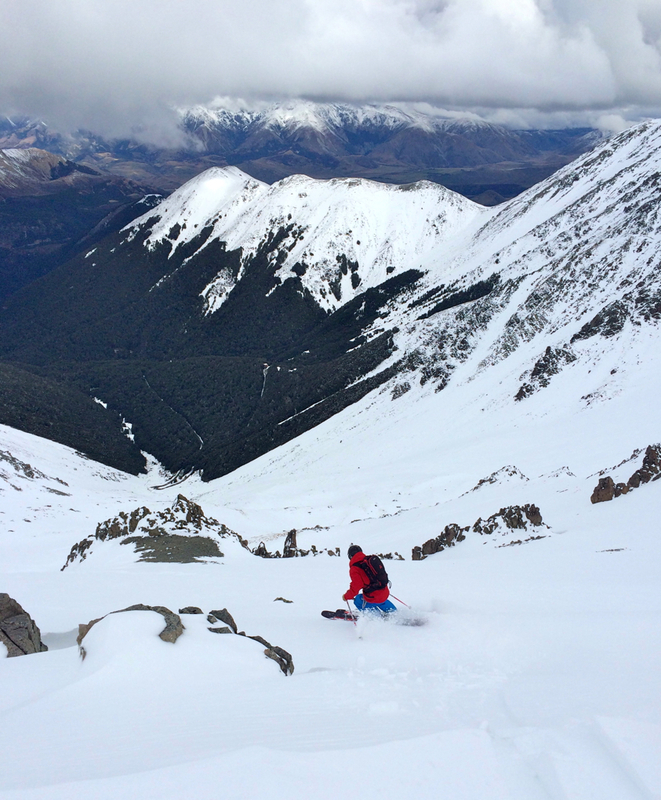 While the ski is marketed as a full-blown pow ski (and happens to be the pro model of one of the most playful, least traditional skiers out there), what has surprised me most is how well it has worked in New Zealand as a directional, fat all-mountain ski—and not only in pow. So that’s going to be the angle of this particular review: how I (a directional skier) found the 192cm Bent Chetler to work in firm and variable conditions, as well as in fresh pow. Then, as soon as possible, we’ll have Jason Hutchins (who reviewed the 13/14 192cm Bent Chetler) A/B the previous and the new Bent Chetler to detail their specific performance differences. It’s safe to say that two of the most anticipated new skis of the 14/15 season are the Line Magnum Opus, and the redesigned Atomic Bent Chetler. But as Will Brown pointed out in his review of the Magnum Opus, these are two quite different skis. Will called the Magnum Opus “one of the most specialized powder skis out there.” I would say essentially the opposite of the 192cm Bent Chetler. While it is positioned as a specialized tool for jibbing in deep pow, it has performed very well in firm and variable conditions, too. So while the Magnum Opus and the Bent Chetler have very similar flex patterns, these skis are definitely not interchangeable. My first time on the Bent Chetler was a warm day at Craigieburn, where we were skiing very firm snow in the morning, then soft spring slush in the afternoon. We had a really fun time making repeated hot laps down a run called The Guts. The conditions and the terrain were conducive to making big, fast turns from the top of the ridge down to the lower rope tow. I did several back-to-back runs down The Guts on the Bent Chetler and the 186cm Blizzard Bodacious, a phenomenal big mountain ski that feels like a modern, freeride shape made with race ski construction. In short, I didn’t feel like I was able to push the Bodacious significantly harder than the Bent Chetler. To be clear, I’d prefer to ski the Bodacious in firm, variable conditions (again, I’m a directional skier), but the differences on snow definitely did not make me feel like I was on a legit big-mountain ski on the one hand, and some dumb overly rockered pow ski on the other. The Bodacious and the Bent Chetler don’t feel the same on snow—the Bent Chetler has a more centered stance than the Bodacious, and far more tail rocker (tail splay) than the Bodacious. But I felt like I could still get on the shovels of the Bent Chetler—its shovels are supportive, and didn’t feel that dissimilar to the Bodacious’. And the 192 Bent Chetler actually weighs more than the 186 Blizzard Bodacious. In ripping through firm moguls or spring mashed potatoes, the Bent Chetler has the mass to keep them from getting knocked around. Honestly, I think the most noticeable difference on-snow between the two skis is the amount of tail rocker: the Bent Chetler has a lot more. Even so, the Bent Chetler never felt short to me, but it did feel like it had a large sweet spot. My point: I really like the Bodacious, and given how I ski and the sorts of skis I generally like, it seems I ought to like the Bent Chetler a whole lot less than I do. In hindsight, I maybe shouldn’t be that surprised. I’ve heard from several former racers–big guys who aren’t tricking or even really skiing switch–swear by the previous Bent Chetler. I never really believed them, but I now understand where they’re coming from. So if you’re a bigger skier who likes the sound of a surfy pow ski, but you also want / expect that surfy pow ski to work really well in variable and even firm conditions, the Bent Chetler ought to be high on your list. I’m actually surprised how much Jason Hutchins liked the 13/14 192cm Bent Chetler as a playful pow ski. The 192s are not light, and Jason does not typically like heavy skis. Will Brown and I both agreed that tricking these would feel like a good bit of work. But Jason swore by the old 192s, and again, we’ll look forward to getting him on these—as well as the new 185cm Bent Chetler—as soon as the snow starts to pile up in Utah. Dropping into Craigieburn’s most excellent Middle Basin’s Chutess (particularly the 210 Chute) where I was jump turning my way down portions of the chute, the 192cm / ~2500 grams-per-ski Bent Chetlers didn’t magically disappear beneath my feet; I was working to move these. But the more significant issue I was having was staying balanced while jump turning down the firm, moguled steeps while skiing on the most tip and tail rockered ski I’ve been on in about a year. I would sloppily jump turn and land sometimes on the ski’s shovels, sometimes on the tails, but in either case, I found myself getting pitched forward or back. This kind of sucked … till I remembered that I wasn’t on some subtly rockered ski that will let you get away with landing heavy on the tips and tails in firm steeps. So apologies to those of you who already know better, but about halfway down 210, I remembered that I simply needed to think about landing on the center of the Bent Chetler, remembering that the stable platform of this ski is directly under your boots. That was honestly the biggest adjustment I made on the 192 Bent Chetlers, and other than that, I just had fun skiing these big “pow” skis in variable conditions. On our final day in New Zealand, 40 centimeters had dropped overnight on Craigieburn, then the day was quite warm, and by the late afternoon, the snow was setting up pretty quickly, making for a very coastal-feeling pow day. Jonathan Ellsworth on the Atomic Bent Chetler, Craigieburn Valley Ski Area. While there is room for a number of opinions here, generally speaking, my take is that in high-water-content snow, a heavier, heavily tip and tail rockered ski provides the mass to plow through the fresh, thick snow, while the substantial tip and tail rocker allows the ski to turn & release easily, and be less prone to feeling locked in to a turn when sinking into the gooey snow. And guess what? The 192 Bent Chetler is a pretty heavy, heavily tip and tail rockered ski, and performed quite well on the day. I saw you hooning about on them at Craigieburn on Wednesday, and thought they looked good. Quite surprised, though, to hear how well they go at speed and in less than stellar snow. I know that I sound like a broken old Praxis record, but your review just screamed “PROTEST” to me. Care to compare? Hi, Maz! I’m not exactly sure what “hooning about” means, but hopefully it isn’t illegal or anything… Cool you were there, too! “If your pow days typically consist of very wet, maritime snow, the more inclined I would be to recommend the Protest over the Bent Chetler. The Bent Chetler handled such conditions well, but the Protest is about as good as it gets in such conditions. In short (and unsurprisingly), the Bent Chetler is the better choice in firm conditions. And while I haven’t had the Bent Chetler on groomers yet, I don’t doubt that it will feel more comfortable carving than the Protest. And in deep, drier pow? If you and I went skiing, I’d let you pick whichever you wanted, and I imagine that I would be quite happy skiing the other. I don’t really imagine that deep, light pow is where these two skis will significantly differentiate themselves. Hooning, if done right, could definitely be illegal :-) But, no, I just meant fanging/arsing about at speed/etc. All clear? Thanks for that comparison. You’re right, Protests aren’t particularly fun on on the scratchy bits near the ridges, and they aren’t lively carving machines, but they’ll get you to the goods with ease, and then you’re laughing. Maybe I could twist some arms at Gnomes and get to demo the Bent Chetlers. My interest has certainly been piqued. And yep, in deep dry powder I’ll happily take either ski, thank you very much. Is that weight correct?That’s significantly more than what is stated on Atomic’s website (2.19 kg- size not specified, but assumed 185) or Backcountry.com (9 lb 10 oz, 185). I wouldn’t see the 193 being that much heavier. Yes, our weights for the 192s are correct. So the weight of the benchetler 192 increased in comparison of last years while having a narrower waist and a new “lite woodcore”? How do you measure the weight? With a scale. The same scale we use to measure most of our skis. Then, since the results surprised us, too, we measured the skis on two other scales. +/- a few grams, the weight of the skis we reviewed is correct. 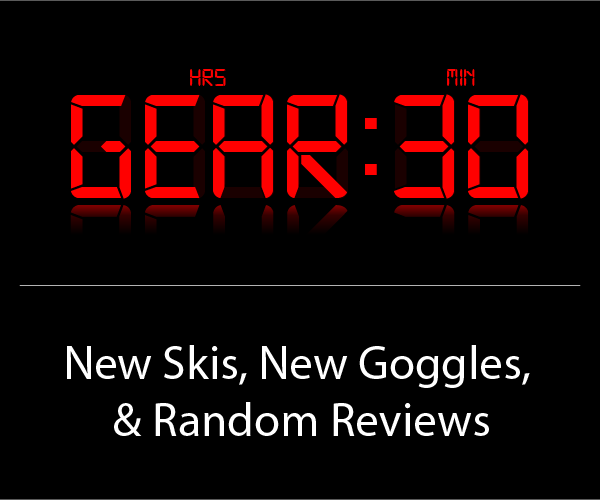 We were not, however, able to weigh any marketing claims, just the actual skis that we actually tested. Yall got me real interested in the 185 bentchetler. I am much too small of a guy (weight wise more than height, 5’10 maybe 120lbs) for a 192. If the 185 is gonna rip through things and still be a somewhat jibby ski, atomic may have some business from me. I’m not a big trick skier, but i do like to do a trick off natural features now and again, and i live in the midwest so i hit the park a lot on my home “mountain.” But i also ski at least a week out west every year, so something like this might be a good call for my western trips. Looking forward to the 185 review. I’ve got 12/13 model of the 183 BC’s and I’m similar in height/weight (5’8″, 130 +/- a few pounds depending). I was a bit hesitant to buy them due to how heavy they felt but did so anyway because of the overwhelmingly positive reviews both online and personal comments from people I spoke with. I won’t lie, they’re heavy especially once you add bindings (I’ve got STH13’s on mine) and you’ll know they’re hanging off your feet on the lift. I don’t do tricks, not by choice I just simply don’t have the practice lol, but I imagine these would be fatiguing fairly quick unless you have some strong leg and core muscles (duh I suppose ha). With that said even in tighter trees I didn’t find the weight to be an issue probably due to the tip and tail rocker making them easier to pivot. What air I did get I was happy to find these skis really do have a huge sweet spot to land on. I think these in a 185 would be a good choice for what you’re looking to do, maybe not as a main jibbing ski if you have something else for that already hang on to them, especially if you come out West. I’m in CO and last season I used these as my daily driver except for a day where I took my TST’s out just because I hadn’t used them all season. Then again, last season was a good season here and if the rain we got all summer continues in to winter it’ll be very deep this year :D Performance on what we consider hardpack was fine, they handle groomers easily but can wander although that’s kinda to be expected. Oh, and yeah, they do perform very well in crud. Confidence inspiring. My dear brother, if you’re ever in Bellingham, Washington sometime and planning on skiing Baker, stop by my place. And I shall feed you a bacon cheese burger with onion rings and a milk shake with local milk and locally grown blueberries because you’re only an inch shorter than me and weigh 10 pounds less than my girlfriend. Jonathon, awesome review as usual, although it has thrown me off, as the Bent Chetler wasn’t on my radar until now. I am pretty much the same size and weight as you, with the same skiing style(minus 10 points), so your reviews are normally spot on for myself. The Cochise 185 is my daily ski, I had the 193 at first, but switched to the 185. For powder, I have the Patron 193, which I am looking to replace this season. I love the playfulness of it, but normally have to switch back to the Cochise the day after a powder day. Hoping to find that powder ski that I can still use for the next few days, which means it will have to ski chop and crud at good speed, and then into ‘tightish’ trees (Vail). Thanks, love the site. Use all the categories from whitewater to Mountain biking, great all round. Hmmm, for slowing things down and skiing tighter trees … yes, I’d say that the Bent Chetler would likely be the better choice over the Bodacious — though I haven’t skied tight trees yet on either ski. But the Bodacious certainly has less tail rocker than the Bent Chetler, so the BC ought to release a bit easier at slower speeds while still feeling relatively quick with its more forward mount. Caveat: I haven’t skied the BC or Bodacious in deep chop, and deep chop is, I think, one of the hardest conditions to speculate about. But long and short: coming from a 193 Patron, I think you could get along with either the Bodacious or the BC, but the BC will be the more playful option of the two. For days after the storm (as I wrote in the review), I’d still personally prefer to go with the Bodacious for fast skiing in variable conditions. Very interested in getting a pair of these for the season, sounds like a good setup for the Wasatch Back, where I normally ski. Just curious – what width brakes would you go for on this? I’m probably going to pair them with Pivot 14s, which I can get in 115mm or 130mm. Is it better to go wide, or can I get away with bending 2.5mm per side? Hey, Tim – you’ll be able to make either work, so not really a ‘better’ per se. very interesting review. Thank you! A little info about me: 27 yrs, 6´4, 90kg and i ride in the European alps. My current quiver is a Punx for park and groomer ski and a 4frnt Cody as an all mountain ski and now I want to add an powder ski. At first I was thinking about the Armada AK JJ 2.0, it supposed to be a little bit more stable in the newer version and still have some “okay” all mtn capabilities. The Bent Chetler sounds very interesting as well. Another possibility I could imagine would be something a little bit narrower like the Faction 3.0, I’m just concerned that it would be too narrow if we do get the good snow. Generally I want a ski that gives me a surfy playful feel, while still being reasonable stable if I do push it. I would appreciate any comment! Hey, Tobi – I think if the priority is (1) surfy, while (2) still being “reasonably” stable. “Reasonably” is an incredibly subjective term, but if you’re in a lower snow area, my hunch is that I’d want more firm / variable snow stability than the AK JJ 2.0, and my strong suspicion is that the 192 Bent Chetler will give you much of the surfi-ness of the AK JJ, while providing more stability. Seems like the 192 BC would be a nice addition to your Punx and Cody. The other skis worth considering here are (from most to least surfy) the 192 Bibby Pro, the 190 Blister Pro, and the 186cm Blizzard Bodacious. Check out those reviews. What do you think about the mount position? I think I would enjoy the recommended position, I´m just concerned that with my height/weight there will be the danger of tip dives? Then I would probably move it back 1 or 2 cm. Thanks again and keep up the good work you guys are doing here!! Thanks for the review. How would you compare this to the 190 Blister (Bibby) Pro? You haven’t skied the 192 new Bibby, but how would you compare the 186 new Bibby to the 192 Bent C.? Lastly, were you skiing this on the “team” line or further back? Haha, exactly what I wanted to ask! Kudos to you, Jonathan. Great review, as always! 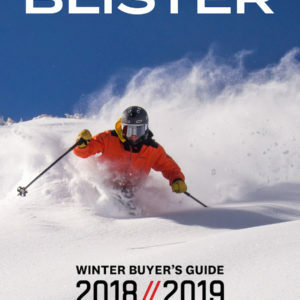 Hey, guys – 192 Bent Chetler vs. 190 Blister Pro: the Blister Pro is (and feels) a touch narrower, is ~200 grams lighter per ski (which is noticeable) and it has a less centered mount point, as well as less tail rocker than the Bent Chetler. 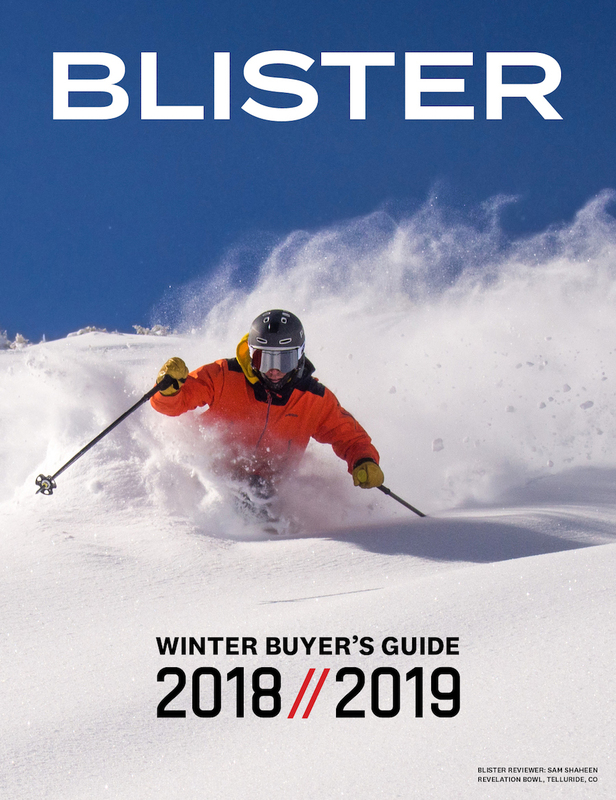 The Blister Pro feels a touch less loose, and while both skis do big, fast turns quite well, I’d prefer to ski the Blister Pro in firm conditions. I’d want to ski them back to back to say more about their respective chops in variable & tracked pow. 192 Bent Chetler vs. 186 Bibby: I felt like the Bibby wanted / required more of a centered style, actually; I could get on the shovels of the BC, and the 192 BC (with its additional weight) did feel more stable than the 186. I expect that this difference will diminish a decent bit if we were comparing 192 to 192. Beyond that, I think you’ll be able to tease out the differences by reading the BC and 186 Bibby reviews. If you brought this to Japan, would you prefer to mount it with a touring binding, or would you stick with a straight alpine binding? In was thinking of putting a Duke (or would it be better to use the lighter Tour)? Would it be beneficial to access some OB? Or can most good stuff be accessed withoutnneeding a touring binding? It’ll be my first trip to Japan and I’m stoked! P.S. I was also looking at the Pollard’s Opus, what would be your first choice? Thanks for another great review. I cant wait for the 185 Bent Chetler review. Thanks again. U guys make purchasing of new qear much more clear. How do these compare to the Blizzard Gunsmoke? Both seem really similar in regards to being tip and tail rockered skis that can be pushed harder than expected in variable and firmer conditions. Love your guys’ reviews. I’m at 6’7″, 210 lbs, and looking for some surfy powder skis. Trying to narrow things down a bit, and liking the usual suspects Bent Chetler, Automatic, Opus (incl Magnum), Rossi S, JJ, etc. I am almost exclusively out west, Tahoe/Mammoth. I tend to prefer nimbler, more playful skis. I would sacrifice the ability to blow through crud if it means more agility. While the Bent Chetler seem to be a class favorite, the weight has me a little apprehensive. Curious as to your thoughts. Much difference between the 117 Automatics and these? Tossing up the two. I am 5’11” and weigh 195 lb. I ski pretty hard, but am a weekend warrior at this point in life. I live in CO and ski Vail a lot. I go other places (Utah, Jackson) when i get the chance. Cant decide on 185 or 192 BC. Input? Im worried 192 will be too much in the trees…. I’m 6’1″ with 187 lbs. I am struggling between the Bent Chetler 192 and 185. Mainly I am going to ski trees with them and as I got small feet for my height (sole length 307mm) I don’t know if the 192 is the right choice. Otherwise the Bent Chetler has a ton full of Rocker in Tip and Tail ao I don’t want them to be unstable at high speed and on groomers. What do you guys think? Thanks for any help! If it’s a pure powder ski, Id go with the 192. If you are going to also use it for more tracked out resort powder conditions, or all mountain, I’d go with the 185. I like my 192, but its a little bulky for inbounds conditions. Thanks so much Vail, I think I will go with the 185. Alex, how did the 185’s turn out? I’m the same height/weight and having the same 185/192 dilemma. Thanks! i recently spent some really good days in the european alps with my 185’s and I have to say that I am pretty happy with them. They are really playful and fun. Most fun of course in powder and chopped out pow. Because of the centred mount (I have mine on the recommended line 0 with marker duke) it really feels like you could “turn on a dime” go through tightest trees. In the beginning it was like “oh no, I have to go more backward” but if you know how to handle them, recommended seems perfect. And they are even fun on groomers. Of course you have to push harder to get on the edges and you have to find the “sweet spot” for carving, but i never felt uncomfortable even on high speed. They feel really tricky and surfy on every conditions and know I use the 185 as my ever day ski. Even when theres no fresh snow and I spend the whole day on piste I leave my good old head carvers in the bag (I haven’t even brought them with me for my last trip… ;-). I am 6’2″ and the 210 pounds. I’m skiing on armada ak jj at the moment but they are coming to the end of there life. I want a powder ski for European resorts and the odd trip to Japan. I like the jjs but find them to be pretty unstable at speed in European conditions and wondered if the the 192 bent chetler would be a more suitable ski for me. I am not the fittest skier and not looking a charger that will be too tiring but I am technically fairly good and not looking for a beginners ski. Any advice would be appreciated. Where would you recommend mounting bindings at on the 192’s? I’ve heard varied opinions and obviously most of its based on ski style but I just wanted to see if anyone had any experiences or advice before I mount my bindings. Note: For the most part I’m directional, I do butter occasionally and land switch but I would say I’m primarily staying forward. First of all thank you for another great review. I am thinking to add Chetlers ski to my quiver in 192. I am pretty big guy 186 cm an 210 lb and directional skiers. Now I own a pair of Supernatural 108 (186) and nordica firearrow edt (184) for groomers and I love both. (I would like you to review the nórdicas as they are a pretty “special” skis. I want the Chetler for powder, but as I live in Europe it is important the behaviour also in tracked powder and crud. Here the untracked pow is only for three or four runs…. if you are lucky…. ☺. Do you think it is a good improvement for my quiver? And another question. What is your recomendation regarding mounting point for a directional skier. I have read to mount at -2….. But I am not sure. Thank you in advance for yor help. Hello, just a comment based on my own experience regarding mounting point with 1,92 Chetlers. As I was not sure about the mounting poing finally I mount a Marker Schizo bindings to be able to change mounting point. I am pretty big guy (210lb) and directional skier and in my opinion mounted at -2 they are not so quick. I have tried them a lot in trees (Japan) and for me they work much better at recommended point. At -2 they are a bit “lazy”. 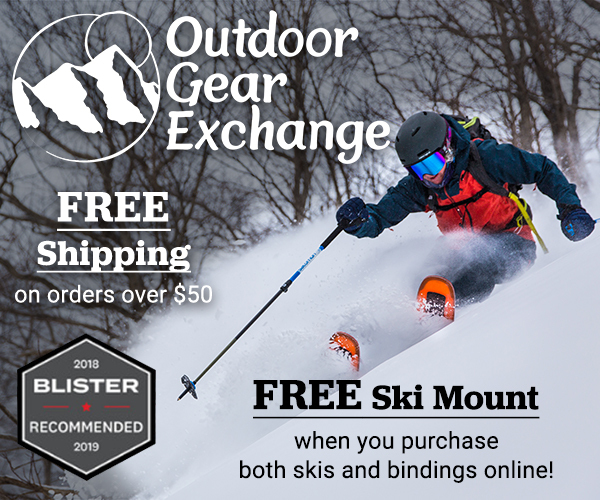 In open spaces and even with heavier types of snow than pow, I feel that I have enough ski on the front, so my recommendation is to mount at 0 because these skis are great because they are quick/fun and also very stable. 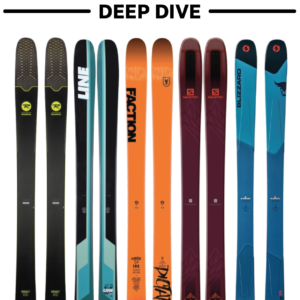 Wondering if anyone’s had a chance to ski the Bent Chetler and the Liberty Origin. I’m looking to add one of these skis to the quiver, but don’t have an opportunity to demo either. Any input would be appreciated. Thanks, John. 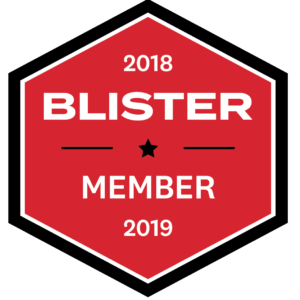 What do you think about blister pro v BC? Thanks. 6’4 200 skier looking for more user friendly pow ski. Excellent review – thanks Jonathan! 1. What was the mount location / What do you recommend for mount location? 2. I have 192cm Line MPO’s … I’m looking for something a bit stiffer that I can lean on and drive the tips a bit more. Is the BC too similar? I have and really like the 190cm Atomic Ritual … looking for a wider ski for powder that is similar to the ritual, is a little more playful and can be taken all over the resort. I’m 6’2″ 200 lbs. if not the BC any suggestions? Bibby, Supernatural 115? Thanks for the great review! I am curious about the rocker, is it symetrical from the point it leaves the snow (tip/tail)? Did you happen to measure it?